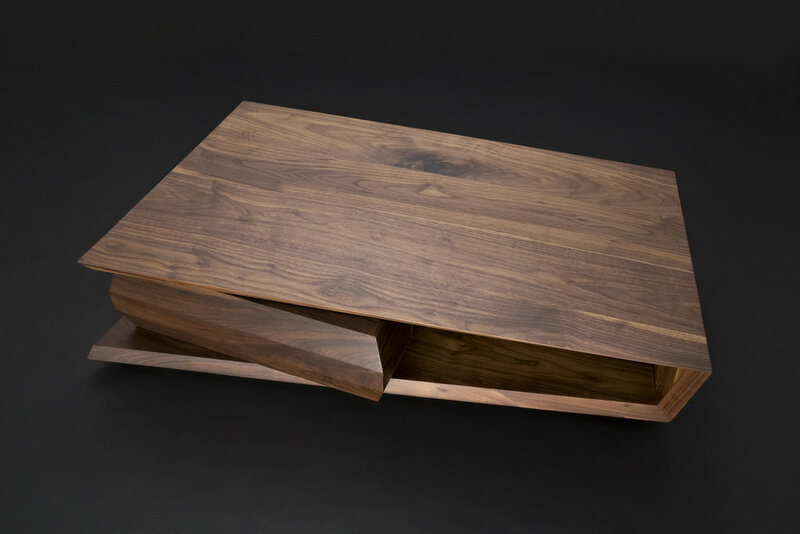 The Arka hovers above your conventional coffee table. Designed to look like it's floating inches above the floor, Jory plays with the future that was promised to us. "I mean come on where are our flying cars!?" Jory laughs. Even though we're not skating to work on our hoverboards, the Arka celebrates these playful themes from the past. Made from solid walnut with a signature orange accent. The Arka piece demands your eye with an awe inspiring presence. It's solid enough to rest a leg or two upon and looks best clean and accessory free. Thank you! We'll reach out to you in the next 48 Hours.